Have gotta tell you one thing though.. THIS NEW LAYOUT- SUITS LIL NINI BETTER! 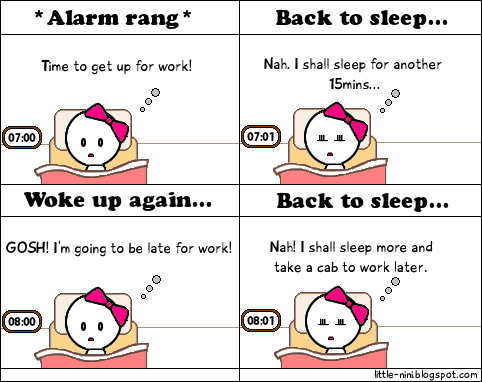 The cartoons reminds me of myself, how I force myself to wake up everyday to head to work as I am not a morning person.